See all 148 properties in Niagara Falls Intl. 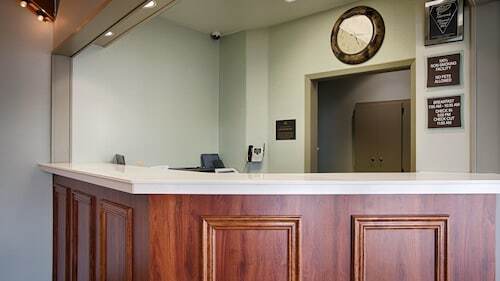 Situated near the airport, this hotel is 1.9 mi (3 km) from Fashion Outlets of Niagara Falls and within 6 mi (10 km) of Hyde Park Golf Course and Niagara Falls Memorial Medical Center. Niagara Falls City Hall and Niagara Gorge Trail are also within 6 mi (10 km). 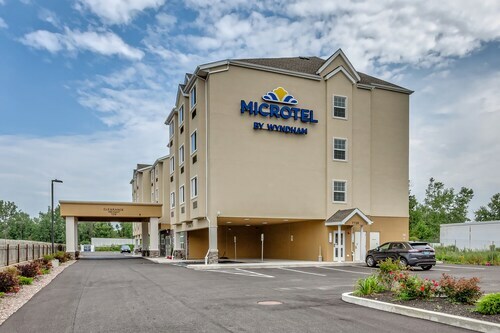 Situated in Niagara Falls, this hotel is 1.5 mi (2.4 km) from Fashion Outlets of Niagara Falls and within 6 mi (10 km) of Hyde Park Golf Course and Niagara Falls Memorial Medical Center. Niagara Falls City Hall and Niagara Falls Armory are also within 6 mi (10 km). Situated in Niagara Falls, this motel is 1.3 mi (2 km) from Fashion Outlets of Niagara Falls and within 6 mi (10 km) of Hyde Park Golf Course and Niagara Falls Memorial Medical Center. Niagara Falls City Hall and Niagara Falls Armory are also within 6 mi (10 km). Situated in Niagara Falls, this motel is 1.7 mi (2.8 km) from Fashion Outlets of Niagara Falls and within 6 mi (10 km) of Hyde Park Golf Course and Niagara Falls Memorial Medical Center. Niagara Falls City Hall and Niagara Gorge Trail are also within 6 mi (10 km). 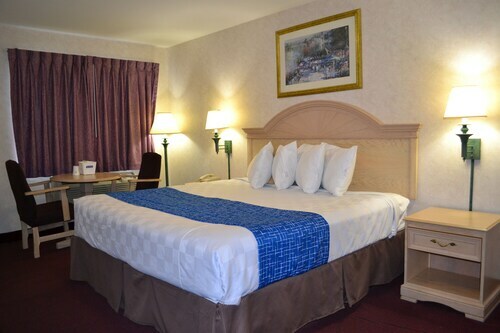 Situated near the airport, this hotel is 0.9 mi (1.5 km) from Fashion Outlets of Niagara Falls and within 6 mi (10 km) of Niagara Falls State Park and Fallsview Indoor Waterpark. Casino Niagara and Clifton Hill are also within 6 mi (10 km). 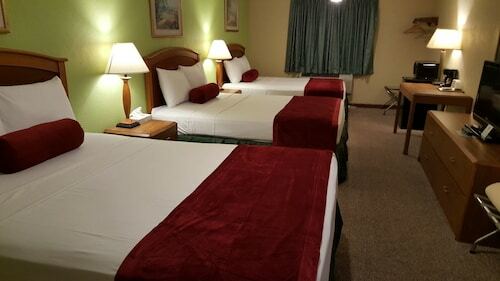 Situated in Niagara Falls, this motel is 1.5 mi (2.4 km) from Fashion Outlets of Niagara Falls and within 6 mi (10 km) of Hyde Park Golf Course and Niagara Falls Memorial Medical Center. Niagara Falls City Hall and Niagara Falls Armory are also within 6 mi (10 km). 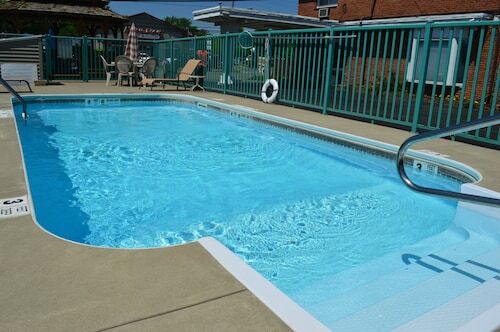 Located in the heart of Niagara Falls, this motel is 1.4 mi (2.2 km) from Fashion Outlets of Niagara Falls and within 6 mi (10 km) of Hyde Park Golf Course and Reservoir State Park. Niagara Falls State Park and Boulevard Mall are also within 12 mi (20 km). Situated in Niagara Falls, this motel is 1.3 mi (2.1 km) from Fashion Outlets of Niagara Falls and within 9 mi (15 km) of Whirlpool State Park and Niagara Falls State Park. Aquarium of Niagara and Skylon Tower are also within 9 mi (15 km).